Jammu Kashmir and Ladakh is State which is part of India (Ladakh is called moonland) (Srinagar City of Lakes) Jammu city of Temples) The state has special autonomy under Article 370 of the Constitution of India. Ladakh is famous for its unique Indo-Tibetan culture. Chanting in Sanskrit and Tibetan language forms an integral part of Ladakh's Buddhist lifestyle. Annual masked dance festivals weaving and archery are an important part of traditional life in Ladakh. Ladakhi food has much in common with Tibetan food, the most prominent foods being thukpa, noodle soup, Momos, and tsampa. Kashmir has been noted for its fine arts for centuries including poetry and handicrafts. Shikaras traditional small wooden boats and houseboats are a common feature in lakes and rivers across the Valley. Kashmir is also famous for wazwan and Kawa traditional green tea with spices and almond. Arrival at jammu Airport on arrival meet and greet our representative.after Tranfer to Katra at Hotel overnight at hotel. After Breakfast in early morning proceed for darshan one can go for Helicopter/ Pony As charged by directly to the guest evening return back to Hotel overnight stay in hotel. After Breakfast Drive towards Srinagar Via Patnitop on reach check in to the hotel and overnight stay in hotel. After Breakfast Visit and Shankracharya temple all Mughal Gardens Evening Shikara ride on Dal Lake visiting Floting Market, Nehru Park, Golden Lake & Floating Gardens. Overnight at Hotel. After Breakfast drive towards Gulmarg.It was discovered as a tourist destination by the British in the 19th century. It is exquisitely situated in a pine surrounded basin of the Pir Panjal range at an altitude of 2,730 meters above sea level and one of the most famous tourist destinations of Kashmir. It also has one of the world’s highest green golf courses with 18 holes, as well as a clubhouse, which is a historical building in its own right. Over night stay at Hotel in Srinagar. OPTIONAL - One can enjoy Gondola ride or Horse ride at Gulmarg. Overnight stay at hotel in Gulmarg. Pahalgam(2440 mtrs above sea level) : Also known as the land of shepherds. The mountain town is located along the bank of River Lidder. Starting point of many treks and Amarnath cave. Evening Return to Srinagar. Overnight at Hotel in Srinagar. After Breakfast drive towards Kargil on the Way see the beauty of sonamarg and proceed for Kargil on reach check in the hotel and overnight stay at hotel in Kargil. On our way to Leh we visit Pattharsahib Gurudwara, Magnetic Hill, confluence of Sindhu and Zanskar Rivers, Moonland, Lamayaru, overnight at Leh. Sighseeing to all nearby places in leh Ladakh overnight at hotel in ladakh. After early breakfast drive towards Pangong lake. After crossing the third highest motor-able pass the Changla Pass (17800 ft) one arrives at the picture perfect Pangong lake(14500 ft, Highest Salt water lake). It’s an unimaginable 135 kms long with almost 70% of the lake in China. Its part of the Changthang geographical setting in the higher Himalayas. Overnight stay at hotel in Ladakh. After breakfast Drive towards airport for drop with a lot of sweet memories of Paradise on earth in Kashmir and ladakh. Airport transfers (airport - hotel - airport). 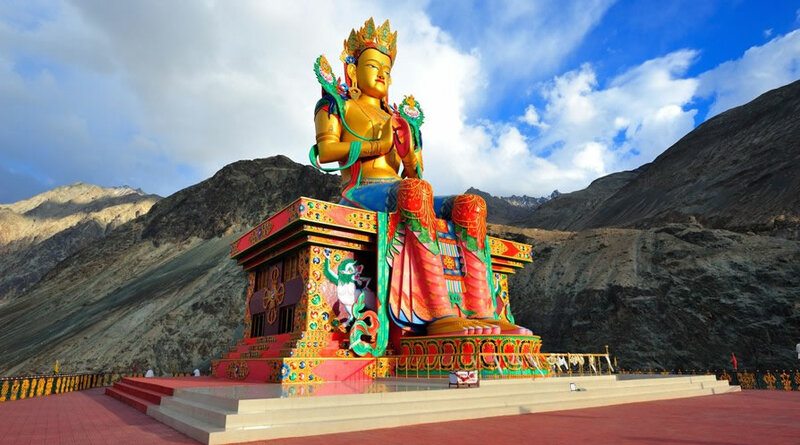 Half day city tour of Leh. Half day tour of Magnetic Hill, Gurudwara Patthar Sahib and Hall of Fame. •Any Kind of Personal Expenses or Optional Tours / Extra Meals Ordered. • Anything not specifically mentioned under the head "Inclusions". • Any Tips/ Guide tips /Hoteliers..